It has been a very exciting 2013 for the veterinarians and staff of Kingsbrook Animal Hospital. Through our programs and your generous support, we were able to raise money to help homeless animals through the Kylie and Cricket Memorial Fund. In May, a monetary donation was sent to the Oklahoma State University Animal Relief fund. 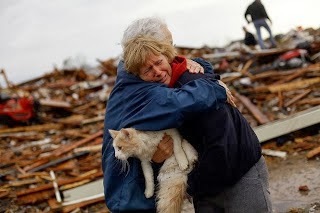 This donation specifically went to help stranded, misplaced or injured animals in need after the devastating tornados. At the end of June, the entire Kingsbrook Animal Hospital staff participated in the Paws and Claws 5K run and walk. We collected $1457.85 through our client and community sponsors. The front of the hospital was overrun with our paper dog donation sheets. The support we received was amazing! We were able to use the money raised to benefit Frederick, MD shelters. $1000 in food and Kong toys were donated to the Frederick County Animal Control Shelter. $400 in food was donated to the Animal Welfare League. In July, we promoted our 1,200 Facebook Like Campaign. In order to increase our Facebook presence, our veterinarians agreed to take a “pie in the face” and donate $250 to the Kylie and Cricket Memorial Fund. We had to reach 1,200 Facebook Likes by August 1st and we did it! In August we sponsored Coconut, a Frederick County Animal Control cat that was up for adoption. 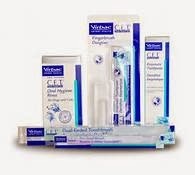 She had a heart murmur and periodontal disease. The Kylie and Cricket Memorial Fund sponsored her treatment. We were able to fund Coconut’s chest x-rays, complete bloodwork panel and her dental evaluation and cleaning. Shortly thereafter, she was adopted by a loving family! In the beginning of October, Dr. Cook rescued 5 puppies that were running loose in West Virginia. Within two days, and the help of social media, all 5 puppies were adopted! With the help of the Kylie and Cricket Memorial Fund, they were all examined, vaccinated and spayed/neutered. All the puppies have gone to loving, forever homes. At the end of October, we held our first Haunted Hospital. 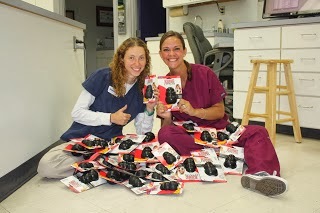 The veterinarians and staff had a great time putting on a show for the Frederick community and our clients. Also, there were several vendors contributing to the success of the Haunted Hospital. They included Smart Dog University, Blue Ridge Blood Bank, Country Rabbit, Fine Photography, Frederick County Animal Control, Frederick County Animal Welfare League, Petz-R-US, Gratzer Graphics, Sweet & Savory, Two Paws Up and the Scoop Squad. The collective monies raised from the vendors, our wonderful clients, and the brave attendees will help KAH continue helping animals in need! Thanks to YOU! 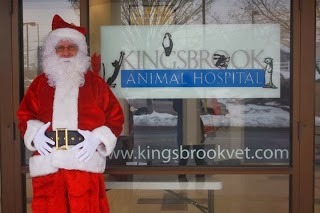 In December, we had a very special visitor to the Kingsbrook Animal Hospital. Santa Paws! He stopped by on a snowy Saturday to visit with the good girls and boys, doggies and even a few kitties. There were crafts for the kids and hot chocolate for all. Santa Paws’ pictures raised $700 for the Kylie and Cricket Memorial Fund. Photographs were taken by Nicole from Fine Photography LLC. To visit her website CLICK HERE. Last but not least, Vicki Baker (Mamaw to Kylie and Cricket), donated a very large dog themed basket to raffle off for the Kylie and Cricket Memorial Fund. The basket contained dog books, a leash and collar, toys and treats. Donations from the tickets sold totaled $260. The lucky winner was Karen Antizzo! Thank you to everyone who supported, donated, and helped us give back to the animals who have no loving homes of their own. 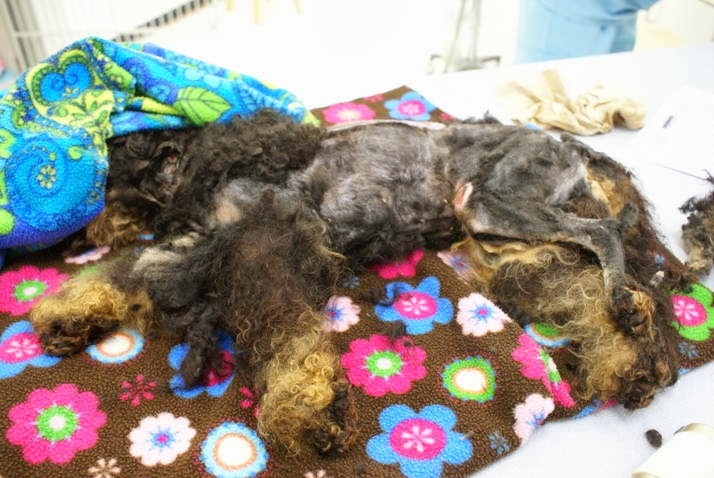 This entry was posted in Frederick MD, Kingsbrook Animal Hospital, veterinarian on December 31, 2013 by yourfriends. Everyone here at Kingsbrook Animal Hospital loves helping animals. 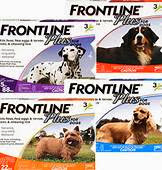 We come in everyday, ready to aid in any way we can, whether it be administering medications, providing good preventative care, or sometimes just giving a good belly rub or pat on the head. Recently, we developed the Kylie and Cricket Memorial Fund so that we could help homeless pets in our area. This year as Christmas approached, the KAH team wanted to do more! When we think about the Christmas season, many of us have memories of Christmas Eve and waiting impatiently for Santa to arrive. While we are all so blessed, we realize that there are many families and children who are not as fortunate. These thoughts led us to adopt a local family who could use some extra help for the holidays. And what fun we all had! We filled up a whole car! Melissa and Ranee at our wrapping party. Melissa checking out some toys. Many of us with adult families had a blast shopping for children’s toys and games. KAH employees generously spent their own money to purchase board games, puzzles, crafts, dolls, footballs, crayons, markers, clothes, hats and gloves, sleeping bags and even items like shampoo, toothpaste, and laundry detergent. We also spent time together wrapping the gifts and thinking of how excited the children would be on Christmas morning. In fact, we may have had just as much fun preparing the gifts as the children will have opening them! 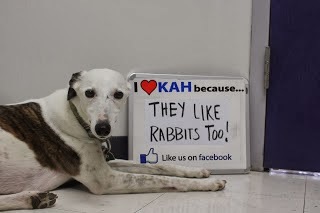 It’s just one more way we can show that we are not just a veterinary hospital; we are a family. And we love the Frederick area. Imagine this sight on Christmas morning! This entry was posted in adopt a family, charity, Donation, family in need, Frederick MD, KAH Blog, Kingsbrook Animal Hospital, Merry Christmas, veterinarian on December 24, 2013 by yourfriends. Being a veterinary technician is an easy way to acquire a four legged friend. So many animals cross my path that need help, care and ultimately a forever home. Over the years some that have crossed my path have in some way reached out and touched something in me that prompts me to take them in and make them part of my family. Sophia Loren came to Kingsbrook Animal Hospital about 1 year ago as a stray that was wandering in a parking lot in Frederick, MD. 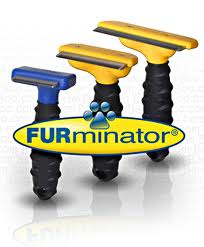 She was covered in matted hair as if she had never been groomed. 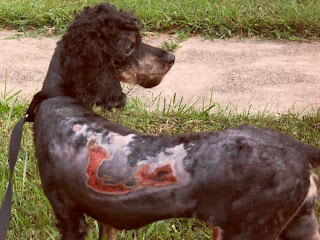 She had lesions on her side and leg where the matted hair had seemingly been ripped off and taken skin with them. She also had 3 evenly spaced holes burned through the skin of her neck that one could only assume were caused by some type of electric collar that was placed too tight. After sedating, clipping and cleaning Sophia’s wounds I offered to foster her for the Frederick County Animal Control until her lesions healed and she was a bit more presentable for adoption. It didn’t take my daughter more than 2 days to fall in love with her and insist we add her to our family. She immediately attached herself to me and for the first several weeks any time my other 2 dogs tried to get near me she threatened to eat them alive. With a lot of positive reinforcement and assurance she has become a loving part of our family and enjoys playing with the dogs as well as our 2 new kittens. We are grateful for her everyday. 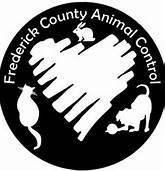 Frederick County Animal Control offers second chances to almost 6,000 animals a year. If you are looking for a forever friend, consider visiting the shelter and giving a loving animal a second chance. Not only does the shelter take in dogs and cats, but any animal that needs help. They have a variety of rabbits, guinea pigs, birds and rodents. You might even see a goat or pot-bellied pig. For more information on FCAC, to adopt, or foster an animal, CLICK HERE. This entry was posted in Frederick MD, KAH Blog, Kingsbrook Animal Hospital, veterinarian on December 17, 2013 by yourfriends. Santa’s elves build toys. They don’t breed puppies. 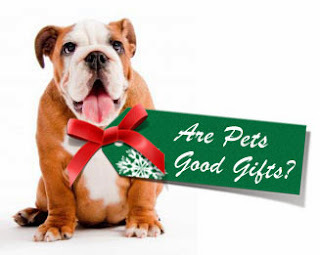 Every year pets are given as gifts during the holidays. However, the recipients of these gifts may not be fully prepared for the responsibility, costs, and dedication involved. Thousands of pets are given up to rescue organizations and shelters after the holiday excitement has passed. 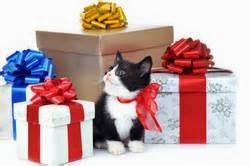 To a new pet, the holidays can be stressful and chaotic. 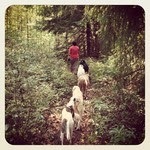 Pets, especially new ones, thrive on routine. The holidays tend to be busy and bustling. With parties and visitors, this is usually not an ideal time to add a new member to the family. Christmas trees, bows, ornaments, tinsel, candy, poinsettias, mistletoe, and holly are all things that bring Christmas cheer!…. but are also hazards to our furry friends. As most of you already know, animals can be expensive. Not just the adoption fees associated, but also the long term maintenance. There will be veterinary exams, preventative medications, training classes, food, and of course toys! It is a lot of responsibility to give to another. W hile there are many breeds and species available, your choice may not fit the lifestyle or preferences of your gift recipient. For example, our technician Ranee may be thrilled with a whippet or basenji, but may not be as excited to see a cat under her tree (since she is allergic!) 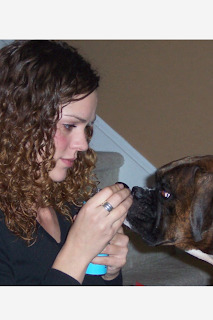 Tiffanie, our assistant, would rather have a boxer then a bulldog. Julie, another technician, goes hiking nearly every week, therefore a Pomeranian might not be the best fit. Even though receiving a furry bundle on Christmas morning may seem like a great idea, many many many animals are relinquished to shelters every year. That is why Santa’s elves build toys and don’t breed puppies. Puppies require time, patience, and training. It’s an investment of a lifetime. As always, if you have any questions or need any guidance, please contact Kingsbrook Animal Hospital, right here in Frederick, MD at 301-631-6900. Happy Holidays!!! 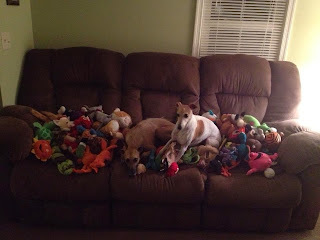 This entry was posted in Frederick MD, KAH Blog, Kingsbrook Animal Hospital, veterinarian on December 10, 2013 by yourfriends. 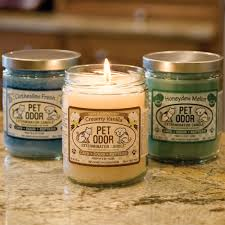 Looking for that holiday gift for your pet or a pet lover? 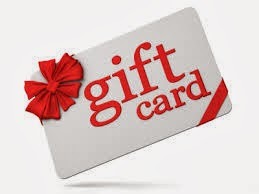 Come visit your local Frederick, MD veterinarian for your gift giving needs. We have Kingsbrook Animal Hospital travel mugs, odor eliminating candles, and gift cards for veterinary care for your favorite pet lover. 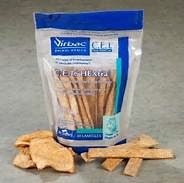 For your favorite dog or cat, we have Greenies, Furminators, Frontline and CET dental care products and chews. You may also make a donation to the Kylie and Cricket Memorial Fund in the name of a beloved friend, family member or pet past or present. May you and your furry family have a wonderful holiday season. 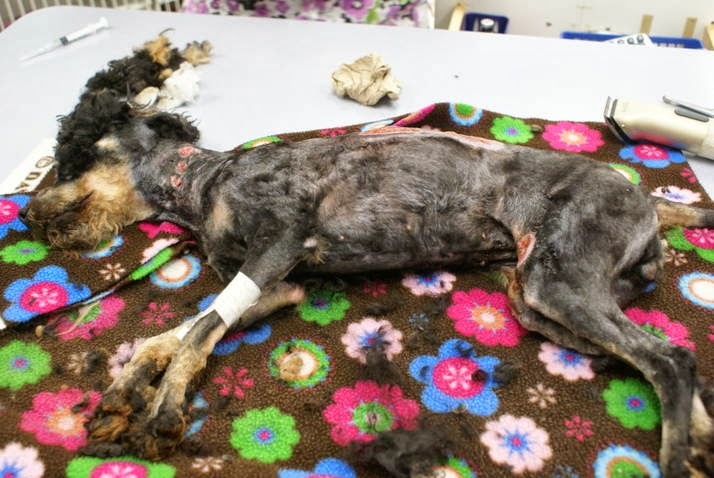 This entry was posted in Frederick MD, KAH Blog, Kingsbrook Animal Hospital, veterinarian on December 3, 2013 by yourfriends.